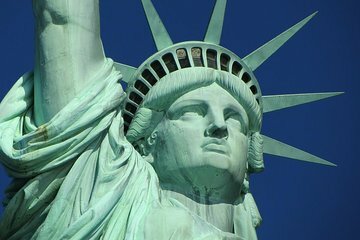 Visit New York City’s most iconic sites with a 5-hour, small-group walking tour to the Statue of Liberty, Ellis Island and the 9/11 Memorial. Board a ferry across New York Harbor as your guide shares stories about Lady Liberty’s remarkable construction, enjoy panoramic views from her viewing platform, then follow the footsteps of generations of immigrants that traveled to America through Ellis Island. Return to the city to experience the poignant National September 11 Memorial, a tribute to civilians, police, firefighters and military that died in the 2001 attacks. The people, the itinerary and the meeting location are great and worth the money. My complaints would be, and this is the reason for the 3 star is the meeting place inside a loud area is not ideal, especially for folks who have never been to New York. If you choose to drive downtown Manhattan you better do your pre-plan and have parking taken care of. I drove around in a pick-up truck for over an hour. The people of Viator was very accommodating to us when we showed up late. The entire excursion was terrific. David our tour guide was very knowledgeable and a walking historian. He was also very personable which made us feel most comfortable. He took the time at the end of the tour to ensure everyone had directions to their choice of locations. He provided us the name and directions to the oldest and his favorite pizza restaurant in NYC. David was excellent. Knew a lot of info. Having been born NYC and having 1 prior rip to the Statue of Liberty, unaware of needing to purchase a ticket to the pedestal was the stimulation to this tour. Cesar was a magnificent guide full of enthusiasm and knowledge! Ellis island, on this tour should be considered an appetizer. It requires an entire day to explore in greater depth. Cesar has the qualities of a magnificent guide! Great day, wonderful experience. Caesar, our guide, was brilliant - informative and entertaining. While this tour covers three distinct parts, for me there was too much time at the Statue of Liberty and not enough at Ellis Island. Ellis Island seemed to have more to offer and the time there was very rushed. The walking tour of the 9/11 Memorial was well done. If you only have a limited time in New York to see things, this tour will definitely suit you. However if you do have extra time I would suggest doing less in one day to get better quality time at both Ellis Island and the down town area. Great tour- Great tour guide! He went above and beyond for us. This was the best tour ever! We can't thank our tour guide, Cesar, enough. He was very knowledgeable and made a special effort to involve our kids and to make us all feel as though he really enjoyed hanging out with us and showing us around. I would highly recommend Cesar for this tour. It was a day we will never forget. Tour was awful. Guide knew nothing but the locations of the tour sites. No interesting info provided. Late in showing up And a good mile from first site location. Would not recommend Viator for any tour.